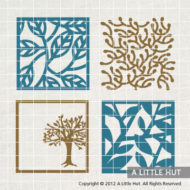 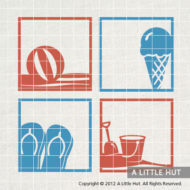 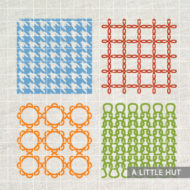 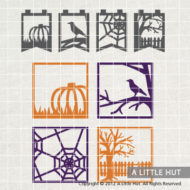 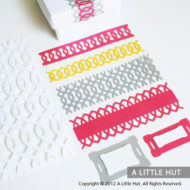 In larger formats this lattice can be used for scrapbooking or home decor. 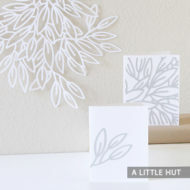 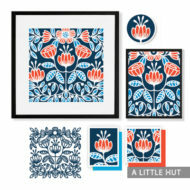 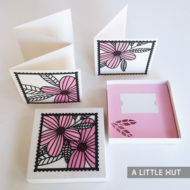 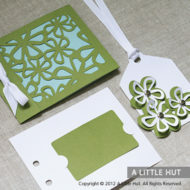 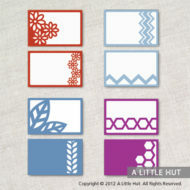 In its smaller versions it can be used as decorative elements on a card or a small gift. 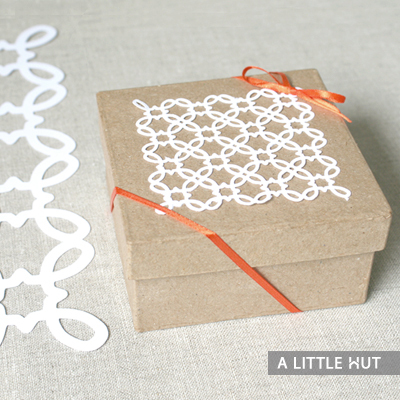 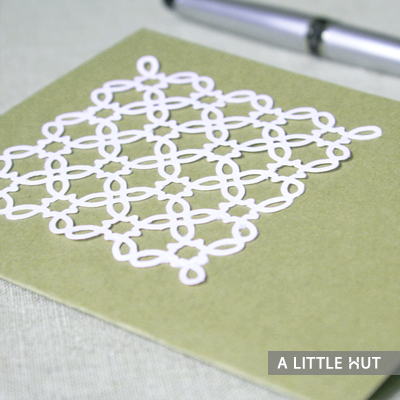 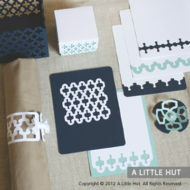 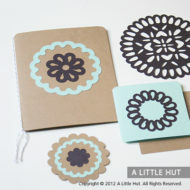 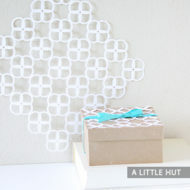 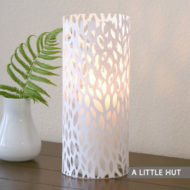 The card is an example of what you can do with cutouts of the lattice and is not included.